This solder paste contain Lead. Sn63Pb37 alloy has lowest melting temperature and excellent solderability. This solder paste have excellent printing capabilities and is good for down to 0.4 mm pitch components. Minimul printing appreture for 0.12 mm stencil is 0.2 mm. 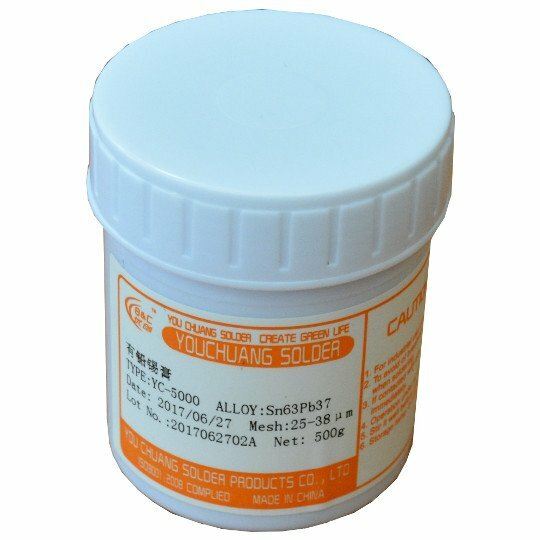 This solder paste should not be used in ROHS compliant products as contains Lead.